Monteverde Cloud Forest is located in the Puntarenas province, at approximately at 3 hours driving from the capital city of San Jose you can find the Monteverde Cloud Forest, a green piece of the small Costa Rica. Here you can breathe fresh air and feel like you were in paradise, a very relaxing spot that you should visit while enjoying one of your vacation packages. There are a lot of possibilities available to get there, and if you are a little bit more adventurous you can opt to hire a car, to maximize your time and have your own schedules. You can go and check our Costa Rica maps section to know better where to go and how. But if you are looking for some affordable family vacation packages, the best option are the shuttle services or if you prefer comfort, we are able to arrange your private transportation with the best guides in the country. Getting there will be your first adventure. The roads are a travesty, the highways have gotten better, but there are many miles left that will make you reach for the safety handles. 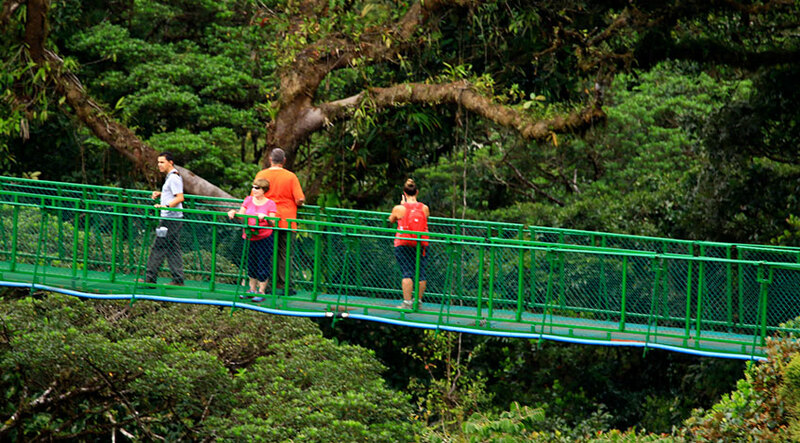 You can be sure of one thing, it is worth it and Monteverde is a place to be discovered and enjoyed, one of the recommended places in Costa Rica for families. There are plenty of forests and jungles. It is not just the natural setting or the culinary variety that satisfies every taste, it is also the fact that it offers different family adventure activities, including the longest canopy tour in Central America. It will delight you, take your breath away and make you scream. The clouds creep up on to the mountains, you can see them moving, slowly and steadily as they rise or descend between the mountains of thick lush green. Imagine yourself, entering one of these clouds at fast speeds while hanging from a metal wire; it feels like heaven. You should try it! As it is located on the highlands, it is a paradise for birdwatchers. 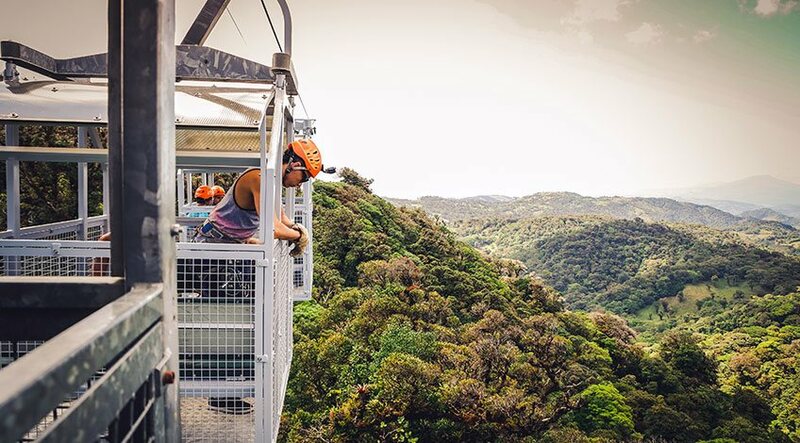 Chase Bellbirds and Quetzals can be seen from the hanging bridges that traverse the canopy and you surely will find beautiful places that will remain in your mind forever. Monteverde is included in the Classic Costa Rica vacations package that takes you across the country in 14 days and 13 nights, covering the area around San Jose, Tortuguero, Arenal, Monteverde and Tamarindo, one of the most renowned and prettiest Costa Rica beaches. This region is also included in the Volcano, Mountain and Beach package, consisting in 9 days and 8 nights through Arenal, Monteverde and Tamarindo. These are beautiful places to visit in Costa Rica and some of our highlights. Monteverde is easy to connect with other destinations, depending on how many days you have to travel. It is not known -usually - as the best place for your family adventure as it is a very relaxed and tranquil place; however, it is easy to connect with other adventure destinations. Monteverde Reserve is a natural protected reserve that has primary and secondary forest. It is well known due to its biodiversity, it is also a recognized world attraction for tourists and for scientist. 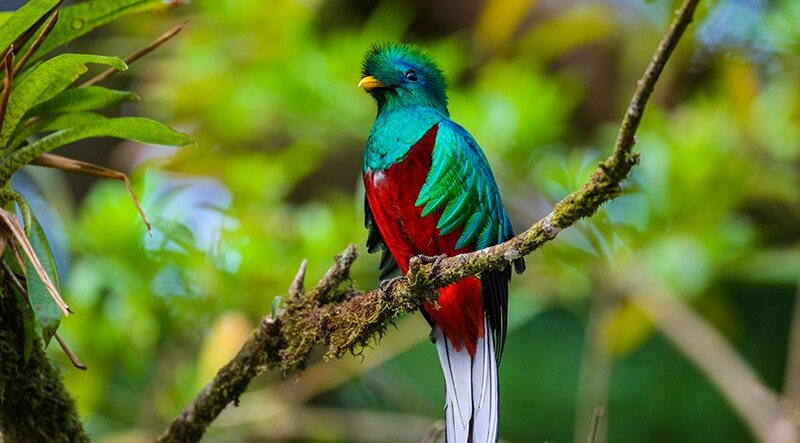 Monteverde Reserve is a beautiful place and when you are immerse into its forest you will hear a lot of animals moving into the nature, especially birds. Selvatura Park, it is a private nature – adventure park, where tourists can do different activities, including the incredible canopy, hanging bridges, and there you can also find hummingbird and butterfly gardens, and you can see some interesting species in their Serpentarium. Sky Adventures is another park where a lot of fun and adrenaline activities can be done. There are also, hanging bridges, zip line and gondolas or cable cars. This is one of the places for family adventure trips, these activities can be combined into one combo to spend a full day of adrenaline. Don Juan coffee is an authentic place, where you can learn a little bit about culture. Also, if you like coffee, you will have the opportunity to taste and know how the delicious drink is made. Additionally, you will learn about the traditional chocolate and sugar cane production in Costa Rica, its plantations and production. 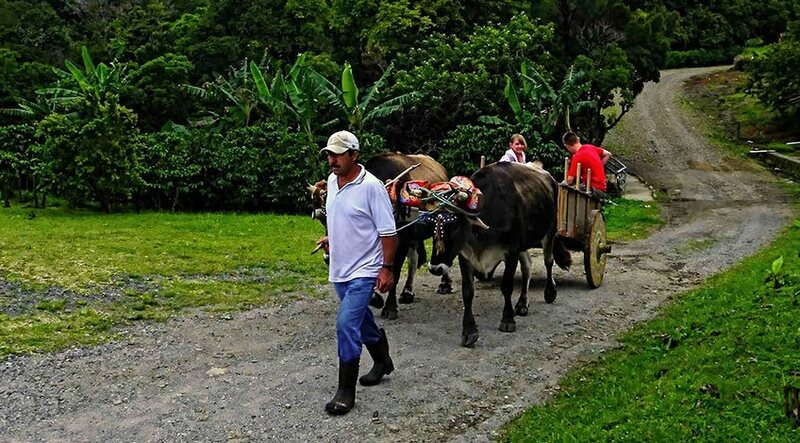 The Trapiche is another cultural and historical tour, a Costa Rican farm that is owned by a local family. During the tour you can learn a little bit about the plantation of bananas, tubers, orange, as well as sugar cane and coffee. The best part of this family tour is that you can enjoy a cart ride, carried by oxen. Make sure to check out our latest travel deals and all the other travel packages at Travel Excellence. Please contact us if you need more details, we look forward to help you define an unforgettable Costa Rica vacation packages. If you liked this article, please also leave us a comment too!